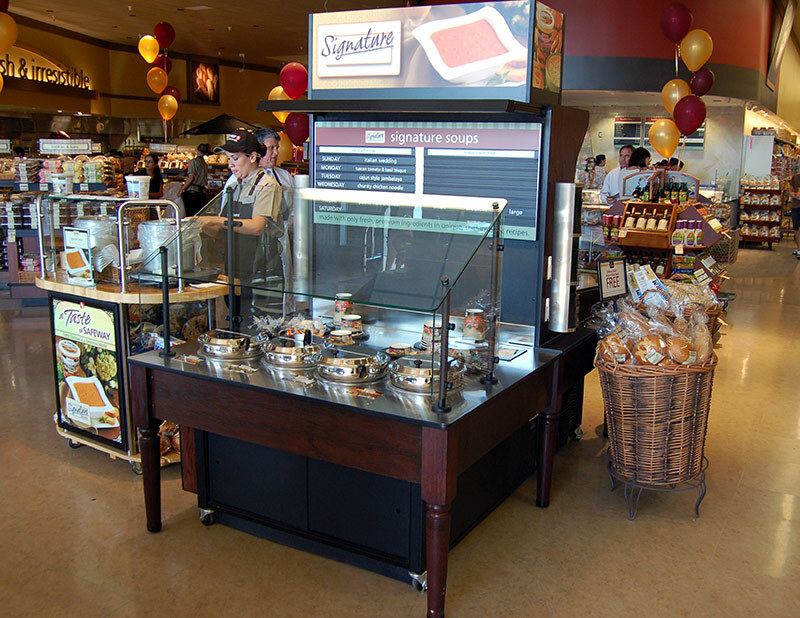 The SST is a soup station merchandiser specifically designed to support your store’s soup program through customization, presentation, and functionality. 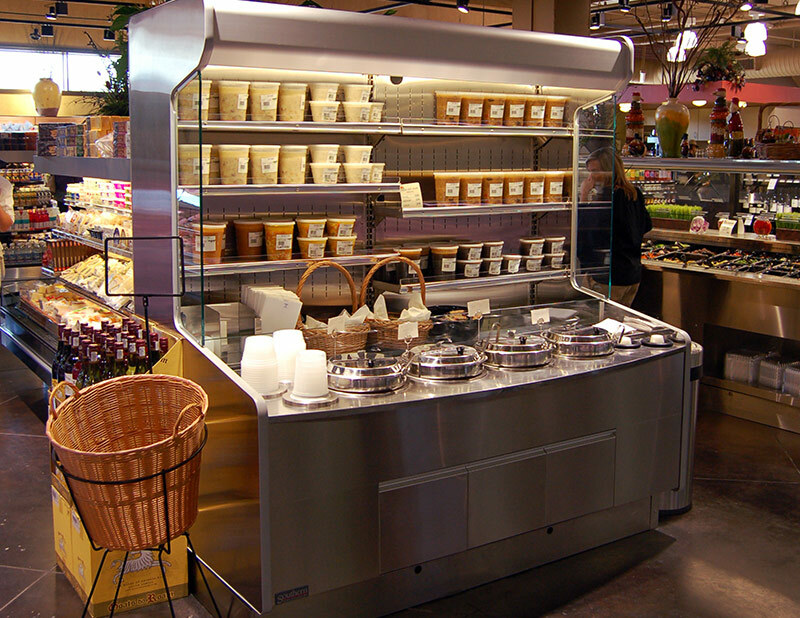 Options include thermostatically controlled soup warmers (4, 7, or 11qt. 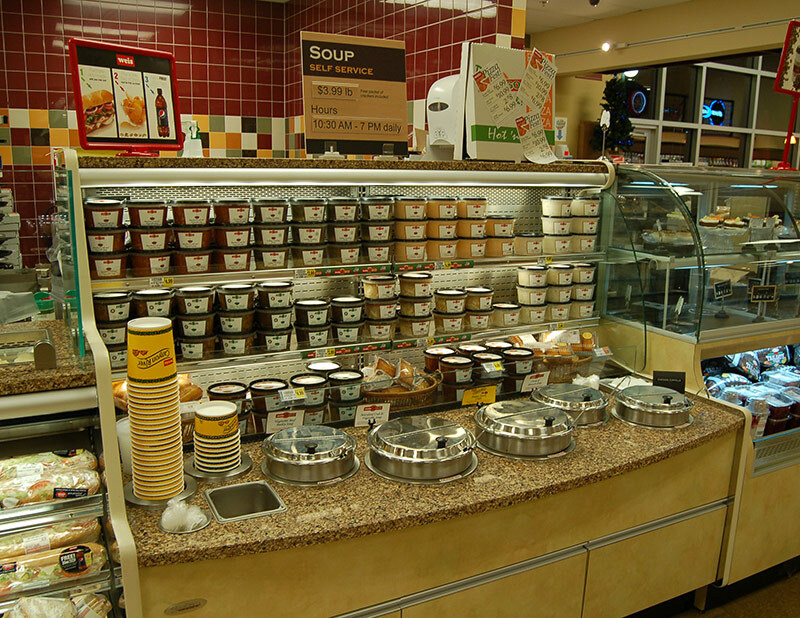 ), the addition of refrigerated display, and the inclusion of smallware storage and dispensers. The SST is a blank slate, ready for your inspiration. See below a small example of SST projects in the field.